Connect Membership Profile with Social Accounts and post to the website membership and social networks on one click. In WordPress, navigate to Plugins > Add New. Search for “Membership by Supsystic” and click Install Now. When the installation has completed, click “Activate Plugin”. You will have a new admin menu item titled “Membership by Supsystic”. Go to Membership by Supsystic in WordPress navigation menu. Click License tab on the left navigation menu of plugin. In order to enter correct data for this parameters, please read this insrtuction. In order to enter correct data for this parameters, please read this instruction. Also, there is Social Network Integration (PRO) option on the Main Settings Membership Tab. 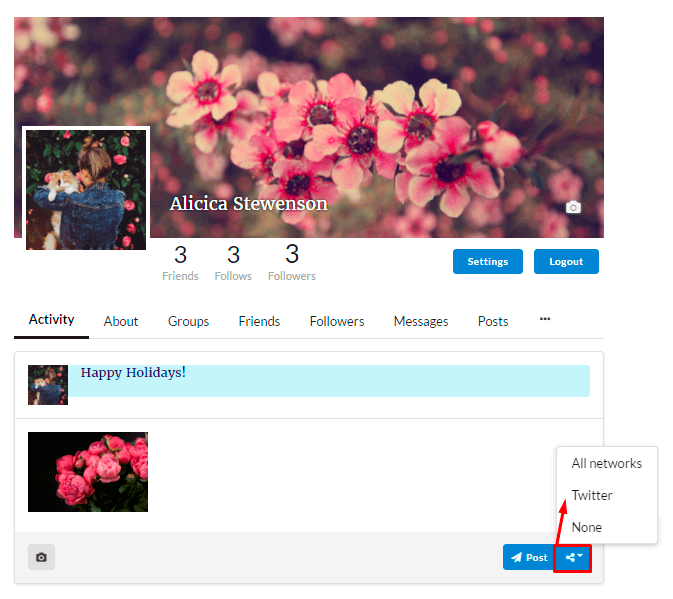 Turn it on to provide ability for your members to post in other social networks simultaneously. 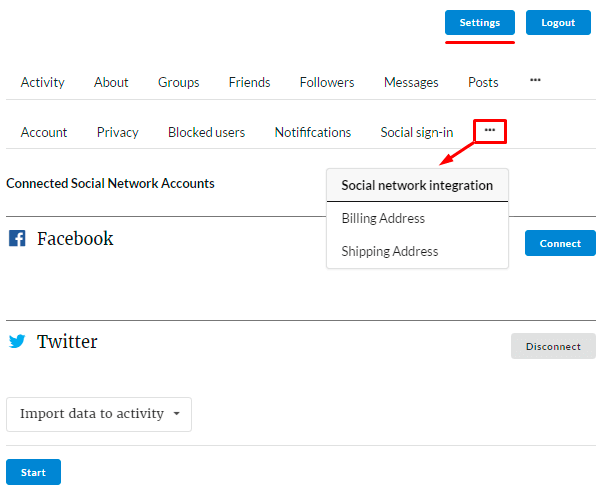 To enable ability to share posts automatically in several Social networks, firstly you have to register or login to your Membership account. Then, at the Settings Tab select Social Network Integration tab. 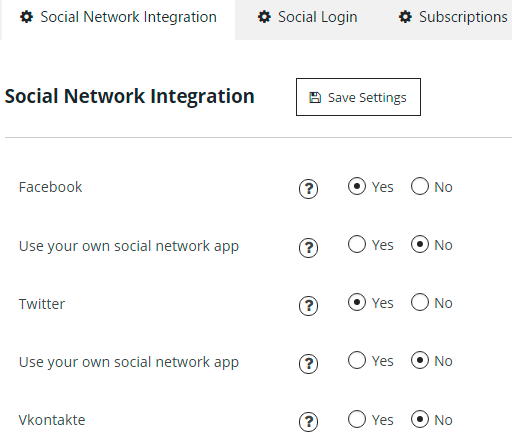 Here you can manage your integrated connection to different Social networks accounts. To do it, click Connect button opposite appropriate Social Network. Disconnecting from current social network is as easy as connecting, you can do it at any time, just press Disconnect button. Import Data to activity – transmits your Twitter (or any other network) posts to Membership wall. Export data from activity – transfers your activity posts from Membership to Twitter and so on. 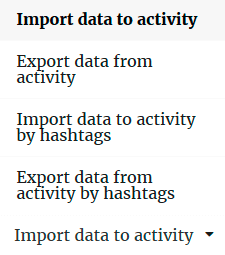 Import data to activity by hashtags – transmits your Twitter (or any other network) posts by hashtags to Membership wall. Choose one and click Start button. You can check import/export process by visiting corresponding account wall. and click Export / Import button.